Various types of CWs may be combined in order to achieve higher treatment effect, especially for nitrogen. However, hybrid systems comprise most frequently VF and HSSF systems arranged in a staged manner. In com bined systems, the advantages of the HF and VF systems can be combined to complement each other. It is possible to produce an effluent low in BOD, which is fully nitrified and partly denitrified and hence has a much lower total N concentrations. 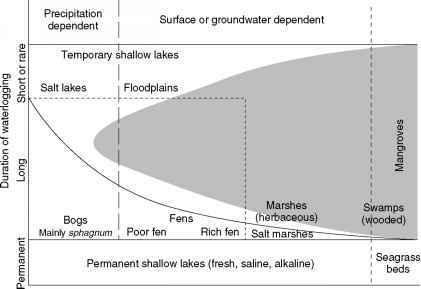 In general, hybrid CWs may include any type of CWs (see Constructed Wetlands, Surface Flow) but this section will deal only with those with subsurface flow.